“We aim to make all of our events are ‘single use plastic free” by 2020. You are the most important part of Breese Adventures and we genuinely care that each of our customers gets the best out of their adventure with us. We provide a range of unique opportunities that inspire you to try something new and achieve your goals and dreams. We are committed to providing the highest level of safety for everyone taking part in our events supported by a team of the best professionals in the business. We provide you with the best information on preparing and taking part in challenge events, helping to break down barriers and opening up the opportunities that you never thought were possible. We provide a service which is personalised, flexible and friendly so that each customer has an experience which is unforgettable and can’t wait to return to us for future challenges and adventures. Once you have experienced one of our adventures we want you to feel part of the Breese Adventures family! Charities are important to us. We support charities by providing all the knowledge and expertise to enable them to offer challenge event opportunities to their supporters. Many small charities, in particular, do not have the resources, knowledge or experience to organise these types of events and therefore we provide a complete package to them. We understand how hard it is to fundraise. We have 20 years of experience of charity events and fundraising and work with each charity to develop professional events for them to raise funds and awareness. 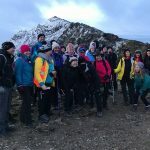 We work closely with local businesses, groups and people and consult them during the planning process of larger events such as the Snowdonia Challenge. We always use local suppliers and providers where possible and let the local community know of ways they can be involved. We share news through our social media channels of local events and businesses before, during and after our events. We have been working towards making all of our events ‘single us plastic free’ since June 2017. We work with local organisations from the start of an event planning process to make sure that every consideration has been given to local, national and (where appropriate) worldwide environmental issues. We will raise awareness of relevant environmental issues via our events and social media campaigns. We will be aware of any environmental campaigns which affect or may be affected by our events.